Hey everybody!! With the change of weather especially here in Arizona things start to change big time! No only outside with he hot temps, but my body and especially my hair. When it comes to hair problems, I have many. I've always wished to be one of the girls that has naturally straight hair, OR naturally curly hair. But the in between wavy/frizzy has NOT treated me kindly. There are so many surgical procedures out there to change the way you look, my question is ; "Why haven't people created a surgery to get rid of frizzy hair?" I would be the first one to sign up. Because of this "unknown cure" which is what I call it, you're stuck walking through aisle after aisle after aisle of hair care products all promising the same thing. But few do what is promised. I don't think I'm asking for much in a hair care product especially for the prices I've paid to reduce my frizz. I've probably spent thousands of dollars trying to find the magic hair serum or magic hair cream that will make my hair look and feel soft and manageable. I have dyed my hair so frequently that I also suffer from split hairs and dryness due to the amount of styling and heat that I've added to the mix. Needless to say, my situation these days isn't too promising. Some hair beauty tips I've discovered lately have helped, and if you're in the same boat I'm in, they might be helpful to you as well: 1) Only wash your hair once or twice a week I fully understand a lot of people can't do this because they might have extremely nappy or oily hair, but if you CAN it really does help your hair boost it's strength and energy. Plus it saves you from having to buy your expensive hair care products as frequently. Since I have reduced the amount of times a week I wash my hair I've noticed it so much healthier. 2:) Steam curl your curls Yes that's right. This is a tip that has not worked for me because steam curles or regular curlers you roll in your hair do not curl my hair correctly. But if you like the look of big bouncy natural waves this routine is much healthier for your locks. I've read several beauty articles where a basic curling iron is extremely damaging. This is one thing I Can't get rid of. My curling iron is my holy grail. Sorry the damage will have to remain ! :) 3) Squeeze Dry your Hair .. Huh What? Yes this one is a shocker. Experts have said drying your hair with a towel almost serves no purpose. Take a paper towel or something that is awesome at soaking up water, it will save you time and also blow dry time which equals less damage. 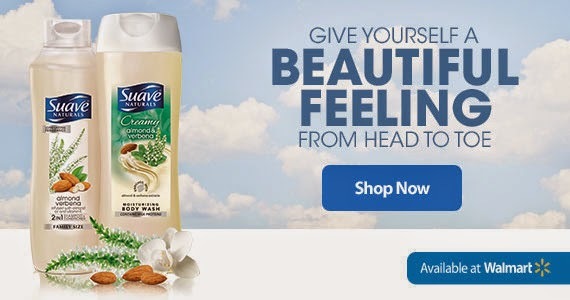 Walmart Suave Hub is an online app that helps you find beauty products to fit your specific needs and also offers coupons and lots of beauty tips like the ones I mentioned above. Suave has really stepped up to the plate to help people, (like me) who enjoy savings and are interested in finding the right hair products for my specific hair. And it's not just about hair, Suave is encouraging everyone live a healthier life, all the way from a trip in the park, to an escape to paradise. 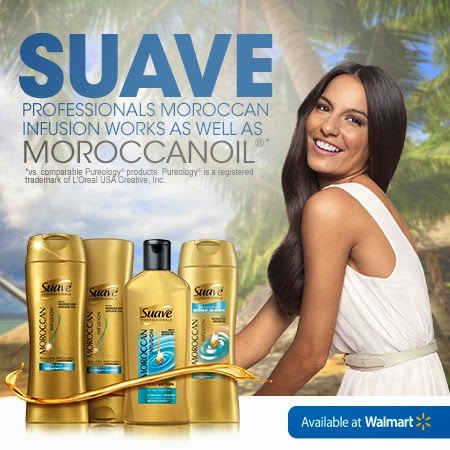 Stop by your local Walmart – the one-stop shop for all your Suave needs. For continued savings, sign up for Suave Family Perks (https://suavefamilyperks.com) and submit your receipts to accrue points and redeem for Walmart gift cards. See how you can live beautifully with savings on Suave products only at Walmart.